SpeedSurfing News: My Best Session ........ so far! My Best Session ........ so far! A week ago we had one of the best speed sessions I have ever had. Tide, storm force winds and free time all combined to mean I got the chance to up some of my PB's for top speed and average. I upped my top speed slightly, from 35.5knots to 35.8knots but significantly upped my average to 33.8knots. I thought that would be it until the Autumn gales. For the first time in real speed conditions I felt in total control, able to read the water and use the wind better than ever before. A hard week of work followed with inspectors in, but all week there was a promising forecast that was shifting from Friday to Saturday, either way it kept me sane with something to look forward to. Friday was a bit of a let down, the wind dropped a touch after I had finished work but still had great fun out on the water. I was dong some of my best gybes ever and everything felt a lot more consistent after the hard work last weekend. Saturday morning arrived (16th June 2012). As I stepped out of bed I felt like someone had hit both soles of my feet with a hammer, I must have knocked them yesterday, it was not a good start along with the aches from a lot of sail pumping while racing mates the previous day. 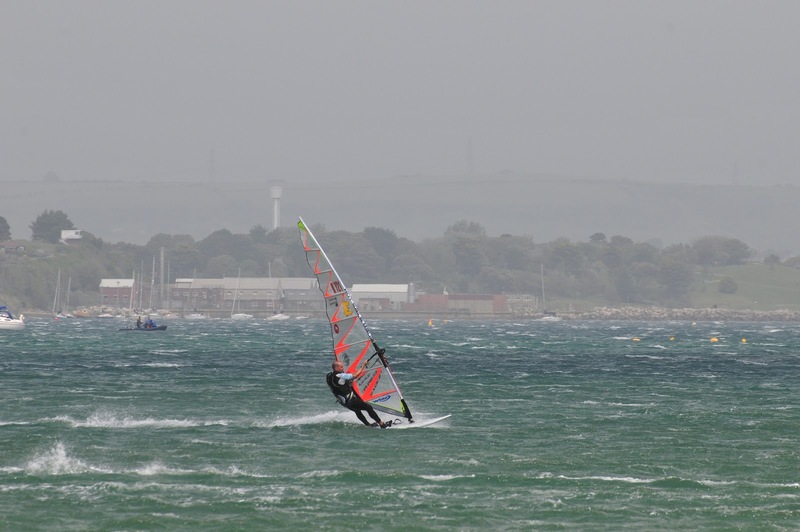 I sat and waited, knowing the best winds would come midday, along with higher water in the Portland Harbour. Impatience set in about 10am and I found myself in the van with kit driving to the water before I realised. Even the upwind slog seemed a joy today, never really feeling overpowered or out of control with 2ft ramps for most of the trip. On arrival I could see there was enough water to tuck in close and get some speeds so rigged up and got out. I rigged my 6.6 Hot Sails GPS, Tabou Manta 54cm board and chose my Black Project type S 29cm fin. 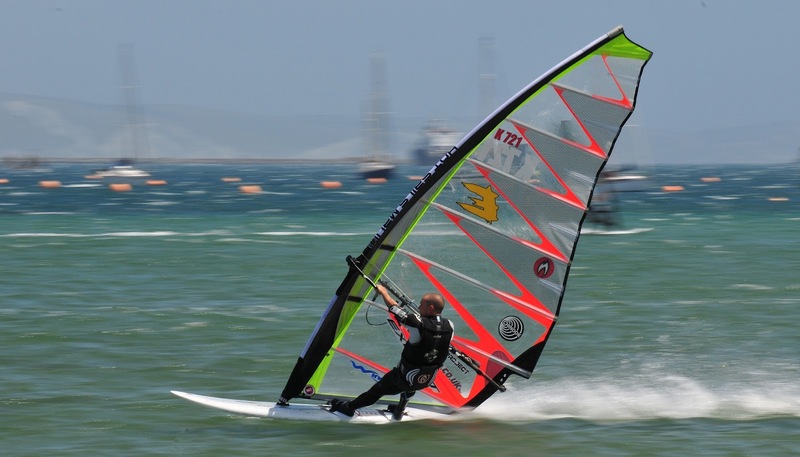 Then for over 2 hours could not bring myself to stop Speedsurfing for a rest. The sail was a little big after the first hour, from the readout the winds picked up to 30knots from an original 25. The big guys were only on 6.3's which indicated my 6m would have been faster. I knew the second my feet touched dry land again they would be quite painful and put me off going back out. Another reason I knew I wouldnt go back out can be seen below in the data from the day, nearly every run was over 34knots, with only one below 33 (thanks to Pete Young for trying to make me sail up the beach by blocking the slingshot exit). I had already done it and going ashore would only reduce the adrenaline that was keeping me having one more run. My peak speed was 36.36knots with a 5x10sec average of 34.91knots. I am over the moon now getting over 36, even more so with my consistency. Every run the 10secs speed was only around a knot less than the peak, and the 500m was only just over 2 knots less. My best 500m was 33.98knots (bit gutted I didn't tip over 34) and my 5x average of 500m was 33.73knots. Every run felt easy, even gybing at the end of them was a pleasure. 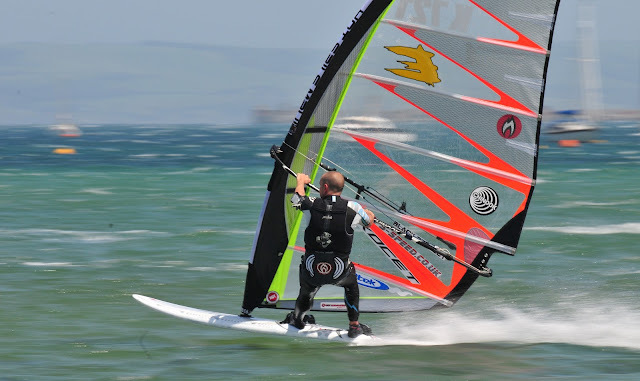 Maybe changing down a sail and fin size would have given me even more, I know we will not get conditions like that again for a very long time so I should have tried but was having too much fun. The sail never felt over powered and the fin didn't spin out once. As time advanced I did notice I was not getting the most from each gust like earlier in the session, the gusts were lifting me more so the energy was wasted into control and trim rather than acceleration. It is usually the worst sessions that I learn the most from, this is the exception. I have learnt so much now about my stance and control in true speed conditions. Finally I feel like I have graduated from the school of speedsurfing, so now I guess its off to college, then university, then post grad. Its a long road which needs to end up at West Kirby or The Ray as soon as possible. Later in the session the gusts were lifting me too much to turn the energy efficiently into acceleration. I guess this is what 'Riding the fin' means, none of the board is in the water, yet I was in complete control. 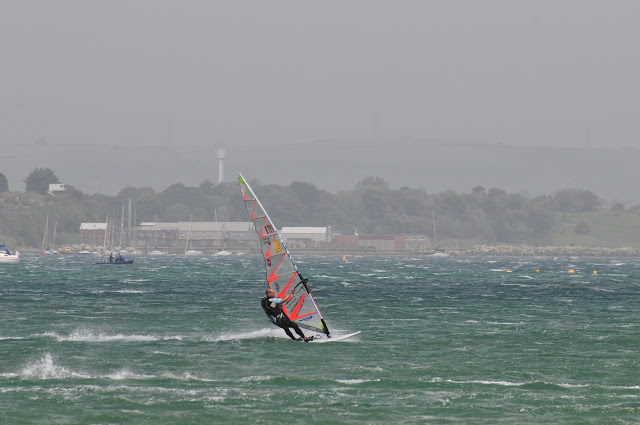 A lot of the locals and a few visitors also had their best sessions, one of note is Scotty Stallman who is 10years old and was out in these conditions on a 3.7m Severne S1 with his trusty Kode 94. To put this in perspective there were fully grown pie eating adults out on sails of this size and Scotty only weighs about as much as one of their legs! Look at his control in the picture, he is already developing a true speed stance and looks relaxed. 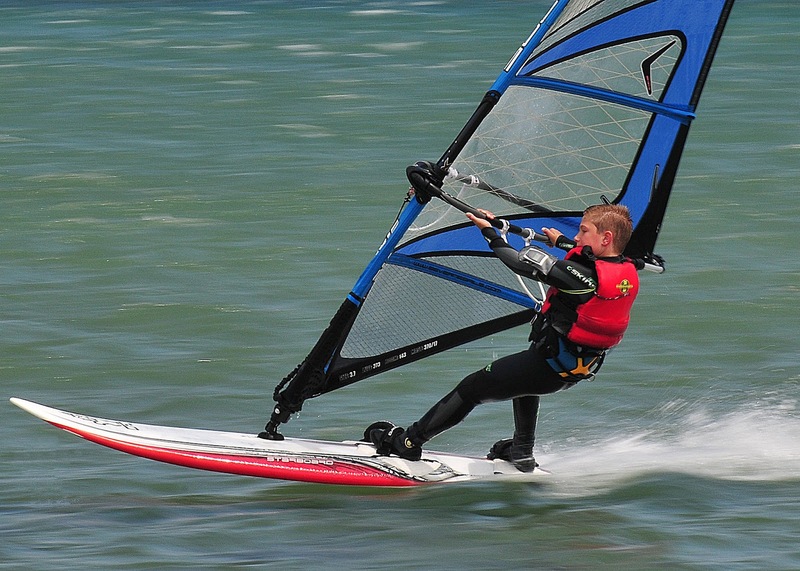 I am in awe of this young lad who managed his personal best speeds of 23.53knots. Well done Scotty, you were definitely sailor of the day and I am sure you will be walking tall at school next week with the knowledge that fully grown men were sitting ashore as it was too windy for them, and you ripped in total control. Sailor of the day, and probably year! Scotty Stallman. Thank you to Scotty's dad behind the lens taking pictures for us all to remember this day, Andy Stallman.